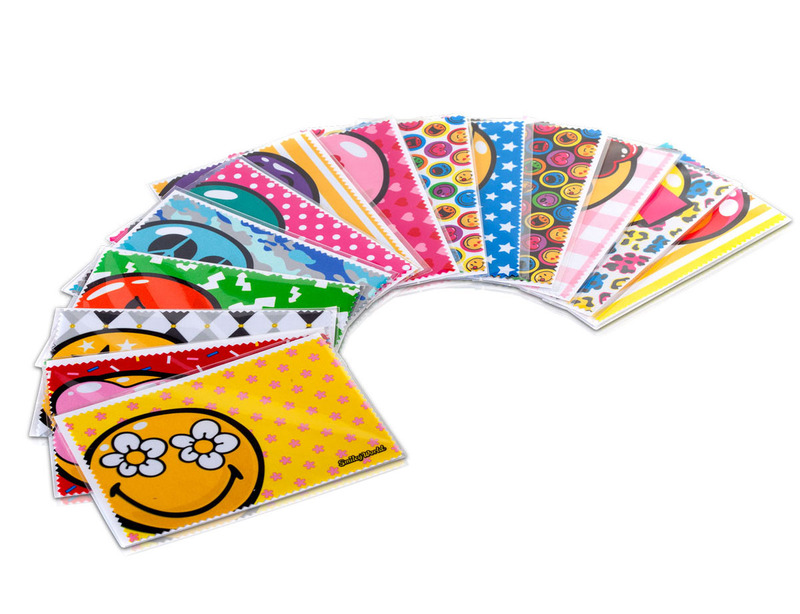 These European-manufactured Microfiber cloths feature the official, iconic Smiley World characters in 10 original styles. People love Smileys! It’s more than a world-famous brand. It’s a spirit and a philosophy designed to remind people of the power of a smile. Each POS display contains 60 microfiber cloths.